That’s it! Is that easy or what!!?? Here’s a practical example: Let’s say you get your bill and your total is $28 for the meal plus $2.24 tax. The only exception to this rule is if the bill is only slightly over a ten dollar increment. For example, if the bill was $32, I would then leave $30 in script (not overpay) but when it comes to leaving the cash I’d leave 3 times the tax PLUS the $2 I didn’t pay in barter. BUT….if you want to keep it simple, you are ALWAYS safe to overpay the meal in barter and triple the tax in cash. OK….say it with me people: Overpay the meal in barter and triple the tax in cash!!! My twin boys are in 5th grade this year. Because the school that they were going to last year only goes to 4th grade, my wife and I needed to find a new school for them this year. We knew that we wanted to send them to a private school, but we also knew that we didn’t have the cash to do so. This is how we successfully found a great school for them 100% on barter. First we put together a list of requirements for school prospects and found schools that fit our requirements. We called up all of the schools on our list toward the end of last school year and asked to get a tour from the principal and for our boys to have a “shadow day” at the new schools. This got us a good feel for the school and gave us an introduction to the principal. We then put together our final list of schools all of which we thought would work for our boys. We ended up with 3 contenders. I then put together an email to each of the principals. I requested that the principals share the email with their school board. It explained that we are interested in their school and that we would like to pay the tuition in barter. I gave a sample list of products/services that we’d be able to provide. I was also clear to point out that there was almost no additional cost to the school by enrolling my kids. I explained that the school would have a credit with me for the total amount of tuition (about $10k for 2 kids) and that the balance would decline as I provided products/services throughout the year. Of the three schools, one was interested in a trade. I was invited to present my idea to their school board and they accepted. My boys started school 3 weeks ago and everything is going great. As I’ve noted before in this blog, some people “get” barter and some people don’t. That was the problem with the schools that declined my offer. Instead of understanding that I wanted to pay the full tuition, they would offer for us to apply for financial aid. There was also a concern that our deal might make other parents that volunteer, unhappy. I tried to explain that the types of things I could provide on trade were generally not the type of things that folks could volunteer to do, but that mostly fell on deaf ears. The craziest objection I heard was from a school board member that insinuated that if we weren’t paying cash we wouldn’t be as committed to the school. I’m afraid the joke is on him because as we all know, barter relationships are much more involved and comprehensive than cash ones. It was a lot of work to set up this deal, but I’ve been really pleased with how it’s been going at my boy’s new school. My goal now is to make sure the school board is happy with the deal so they will be open to it in future school years. I’ve applied to join the school board because I think I will be more effective at finding good ways for them to spend their barter if I’m more involved in the school’s inner-workings. Barter: To trade one product or service for another. Haggle: To negotiate for the best possible price for a product or service. 2) Of course part of bartering involves determining the value of the traded item and that can often include some haggling. 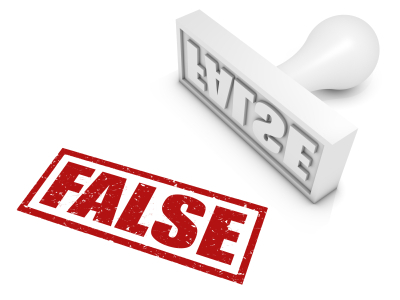 The confusion is caused by the fact that both are often conducted at the same time. The reason that it’s important that folks understand the difference is because many Americans simply refuse to haggle. If they mix these two terms up, their distaste for haggling will infect their feelings about barter. So I send you forth, my little barter fanatics, to educate the world and spread the gospel of barter. Whenever you can please point out the differences between these two terms. UPDATE: I have a new easier way to calculate tax/tip posted here. 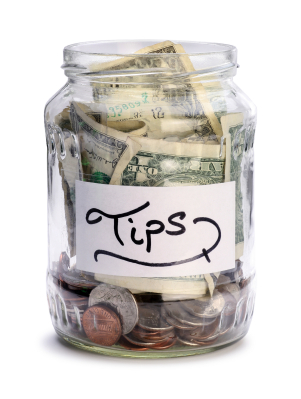 Calculate what the total for the meal, tax and tip would be in cash and remember that number. For those of you that are memory-challenged like myself feel free to write that down. Pay the meal portion of the bill in barter. Often barter script comes in 10 dollar denominations. To make the calculation easier it’s my recommendation to never round up with your use of barter script. Round down. 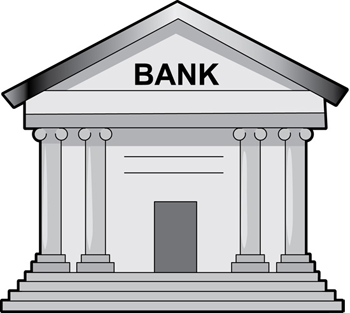 Step three addresses covering the difference in cash. Subtract the difference between the number you came up with in step 1 and the amount of script you left in step 2 and that’s what you leave in cash. Here’s an example: Your meal was $55 and tax was $5. That’s not so hard is it? This method is simple enough that you can do it accurately and quickly every time. The common place to get tripped up is if you round up with your barter. There is nothing wrong with doing that, but then you have to remember to add in the extra barter in step 3 that shouldn’t count toward your tax and tip. In this example rounding the barter up is actually a better deal for you. You are paying $5 in barter to save $5 in cash. It’s pretty easy to mess up the math though. If you don’t remember to add back in the extra $5 you only end up leaving $12 in cash, $5 of which was tax. That leaves only $7 for your tip on a $60 bill. 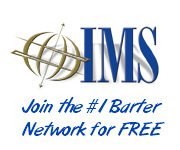 Here’s a great video to show new potential trade partners that you are introducing to the idea of a barter network. Hopefully this is the first of many books to come that I will review on the topic of barter. I heard about this book through a fellow barter fanatic who recommended it to me. It was written by Bill Meacham of BancMarc who is a 30 year veteran in the industry. I traded some emails and phone calls with Bill and he proved to be a wealth of information about all things barter and generously offered to send me a copy of his book for review. Smarter Companies Barter is an 80 page self published book that is a quick read even for speed-challenged readers like myself. What it lacks in polish it more than makes up for in passion. The book explains the value of a modern barter exchange to the uninitiated, really hammers on the importance of ethics for all parties involved in barter and does a good job reminding folks that run barter exchanges of how to run a tight ship. 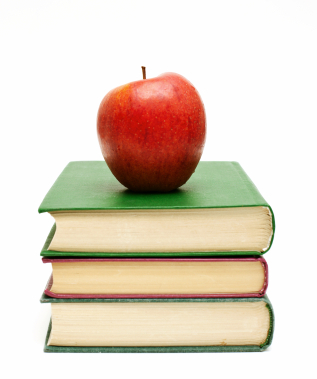 A recurring theme in the book is the importance of member education. One potential use for the book is for exchanges to give it to new members as part of an educational program. I have to admit that the book did lead me to question one of my own trading practices (more on that later). It’s an unusual book that motivates me to make changes in my own life so I have to give this book my recommendation. 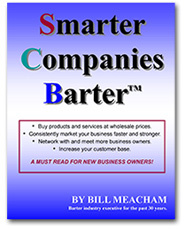 If you want to buy a copy of Smarter Companies Barter it is available at www.smartercompaniesbarter.com. Ironically it is not available on barter at the time of my publishing this article. I would also like to note that the author has mentioned the idea of sponsoring this blog. That possibility has not influenced my review in any way, but I’m afraid you’ll need to take my word for it. Depending on your medical insurance (or lack there of) the value of bartering for prescription drugs will vary. In my family’s case, we have excellent insurance, however it has a high deductible which means for the first half of the year I pay cash on the barrel head for all things medical. So at the beginning of the year, I’m paying cash for prescription drugs. I’ve been buying perscription drugs on barter for about a year and this is what I’ve learned. Although I have found a number of pharmacies that will barter for prescription medications, they have never been near by. That means that you are working through the mail. This is not necessarily a problem, but it does mean that you need to plan ahead. It also means that it’s unlikely that you will get antibiotics for your children when they have an ear infection. Bartering for medication is suitable for ongoing treatments that you know about ahead of time. Pricing is not fantastic with barter pharmacies. Especially if you are used to simply paying co-pays. 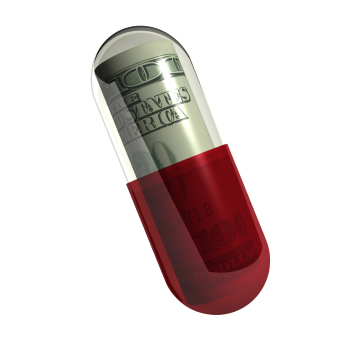 If you are bartering for prescription drugs, get ready to pay more than the retail rate. That being said, I’ve found that when I take into account the wholesale price that I acquire barter credits at, the pricing works. There are a couple reasons for the high prices: First off, as with all hard goods that are in demand, it’s pretty normal to pay a relatively high barter rate. Secondly, it’s generally smaller independent pharmacies that are open to trade. They don’t have the muscle to negotiate the kind of prices that big chain pharmacies do. While my wife was recovering from major surgery, she was on pain killers that are more strictly regulated than most medications. I was able to barter for these, however these prescriptions cannot be called or faxed in to the pharmacy. The pharmacy needs the original prescription. I would personally recommend that you have all prescriptions like this mailed directly from the doctor’s office to the pharmacy. That way if it gets lost somewhere along the way, no-one will ever think there was any funny business on your part. Because timing and accuracy are so important with prescription drugs you really have to watch for good customer service. I’ve worked with two pharmacies. One was fantastic and the other one was horrible. Find one you like and really take good care of them. Pharmacies generally aren’t used to dealing with barter and adding another layer of complication in a business were mistakes are not allowed can be tough. It has not been my experience that pharmacies work with insurance when they are bartering. What I have done is paid for the drugs on barter, then submit them to my insurance company myself. Each insurance company while allow a different price for a particular medication and it will probably be considerably less than what you paid on barter. As I mentioned in my last post…once I hit my deductible, I can submit my receipts to my insurance company and they will send me a cash reimbursement check. 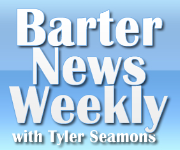 Barter News – A print trade journal with an adjoining website. I haven’t read this yet. Personally I find it more than slightly cheap nfl jerseys ironic that sujet I haven’t found a source to barter for a copy of this publication. Hey Mr. Meyer! If you’d like to sign me up for a complimentary subscription (or even a bartered one), I’d be wholesale NFL jerseys happy to review it and refer to it from time to time. Barter News Weekly – I Souper wholesale NBA jerseys just found this one today. I’ll let you know if I spot anything noteworthy after I spend some time with it: Save http://www.barternewsweekly.com With just a brief look it looks like a good information source, but appears that they are closely tied to barterexchangetrainers.com so don’t be shocked if they funnel you toward that site. All Barter Exchanges / brokers – All the exchanges and brokers are good sources of info about how to barter and what to barter. Don’t expect info to be spoon fed to you, but it’s there if you want it. Of course they will have an agenda. What sources do you have that I Miami Dolphins Jerseys don’t have listed here? Please post back below.